United Launch Alliance is scheduled to launch a new National Reconnaissance Office payload Friday at Vandenberg Air Force Base in California aboard a Delta IV Heavy rocket. 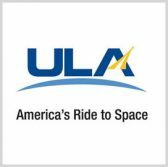 The NROL-71 mission will take off at 11:19 p.m. Eastern time as part of the agency’s national defense efforts, ULA said Wednesday. Delta IV Heavy is designed to carry more than 14,000 pounds of payload into geosynchronous orbit and interplanetary trajectory. To date, the company has sent more than 130 satellites to orbit with its launch vehicles in support of Earth observation, global communications, solar system exploration and technology missions.